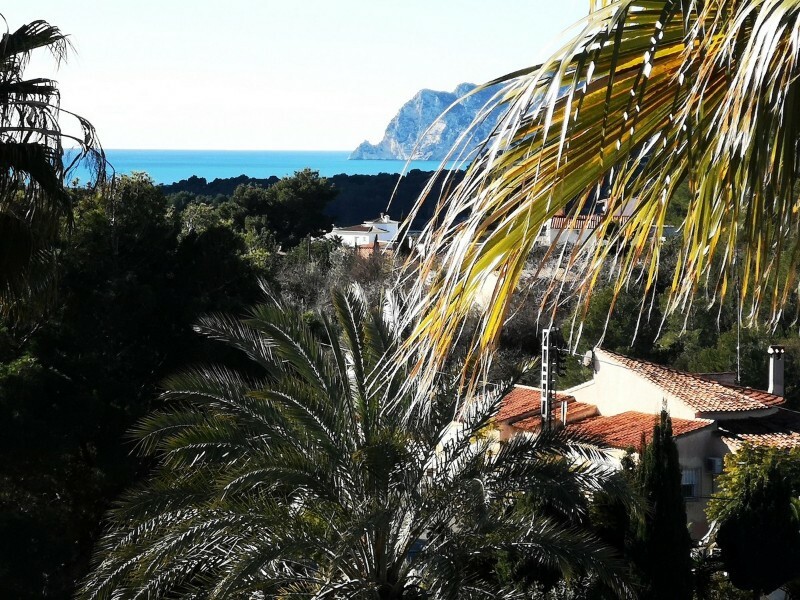 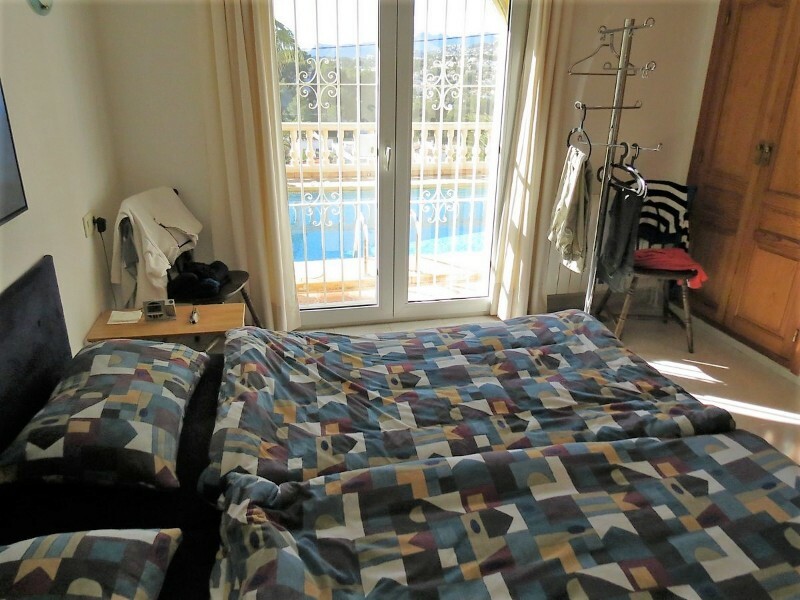 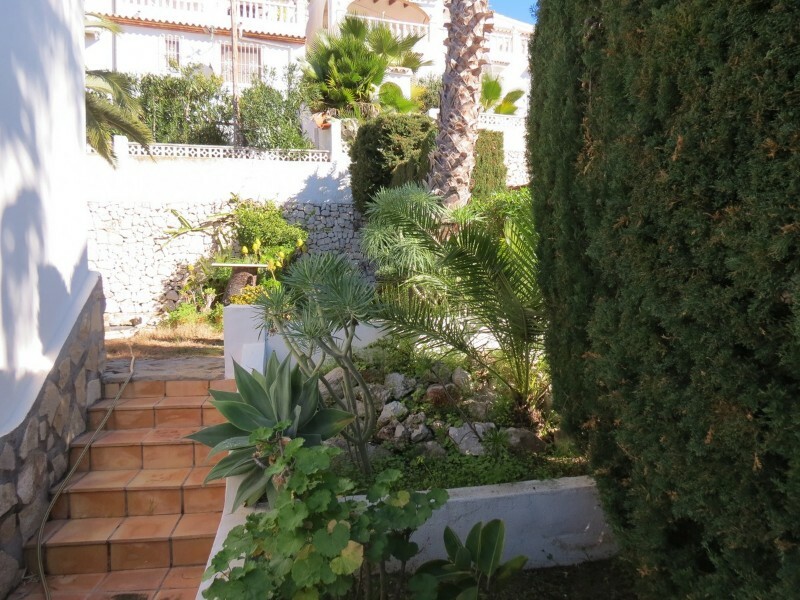 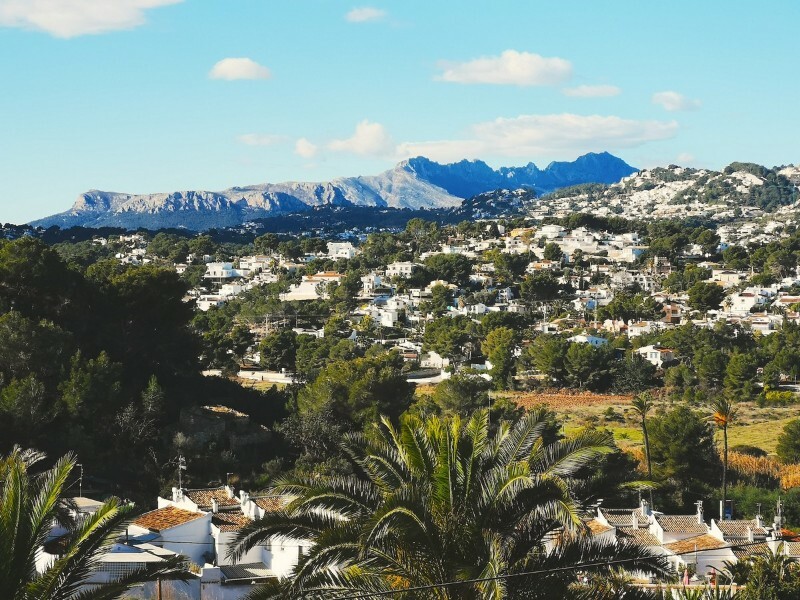 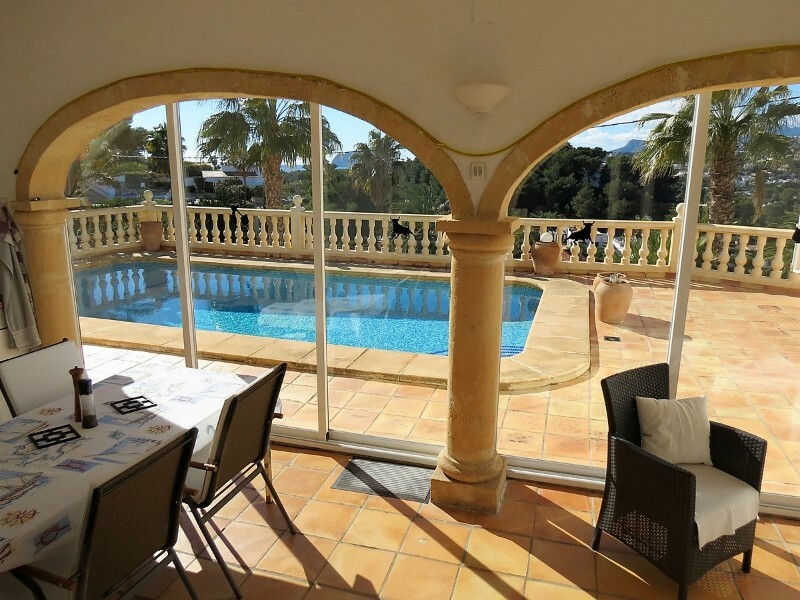 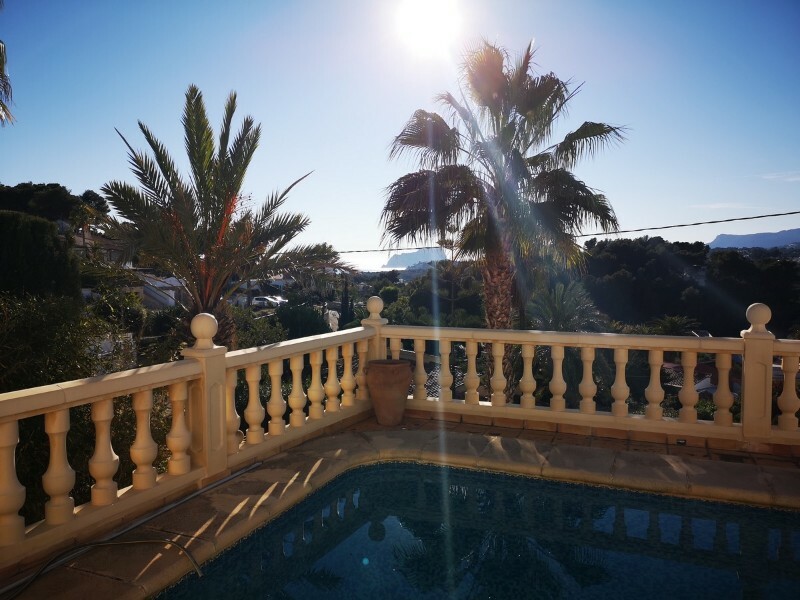 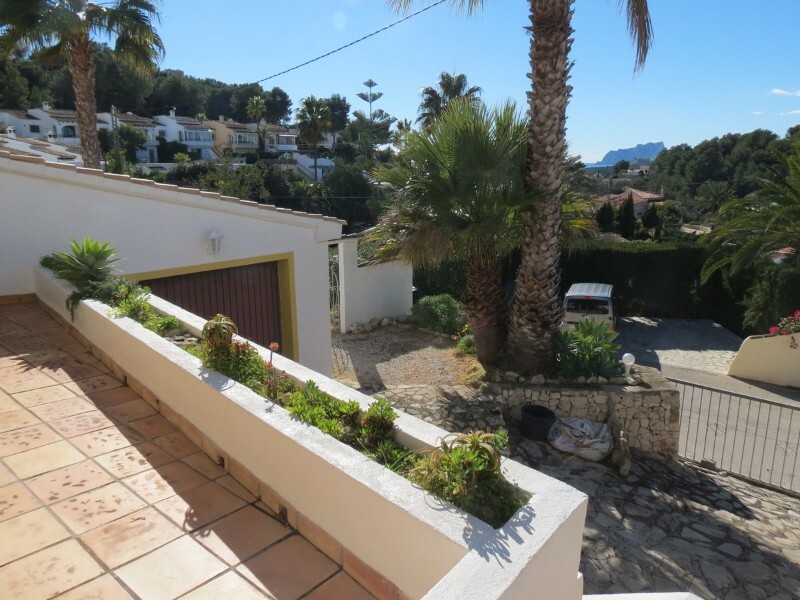 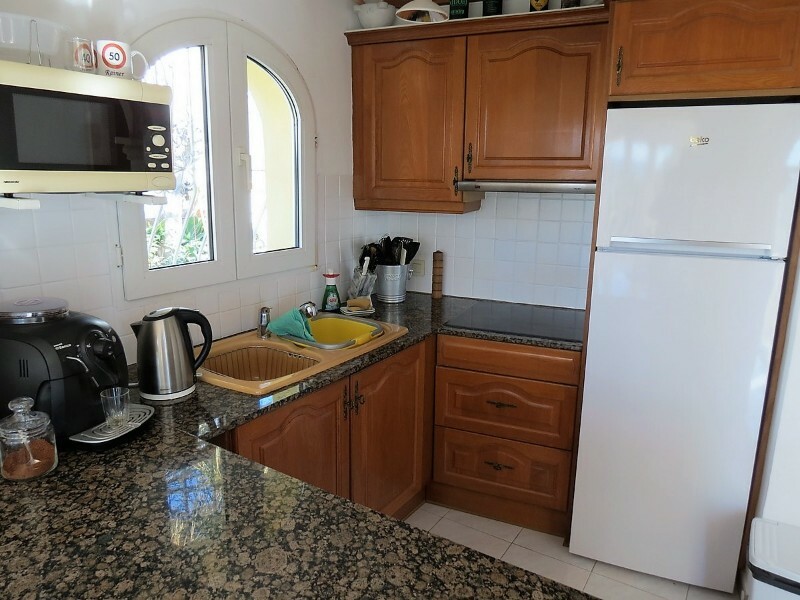 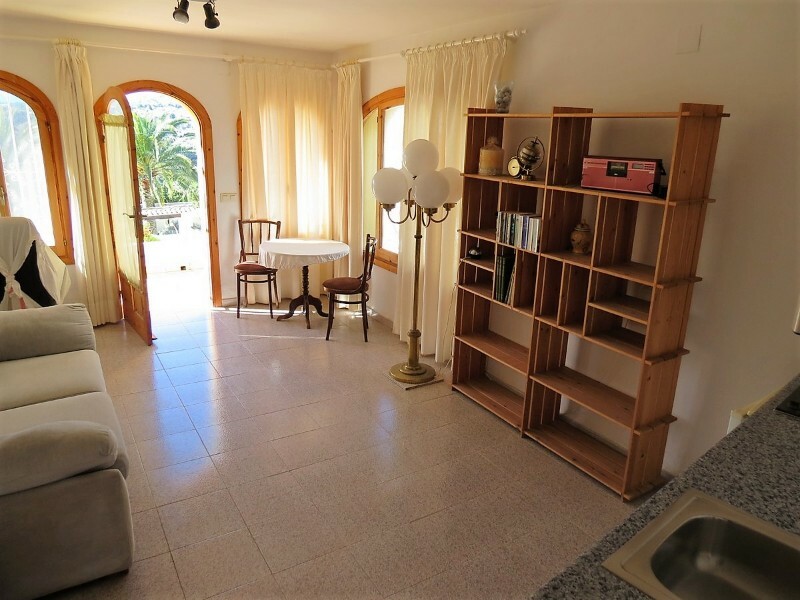 This well maintained, south-facing, villa is for sale in the Paichi area of Moraira, just 2km to the beach and town centre. 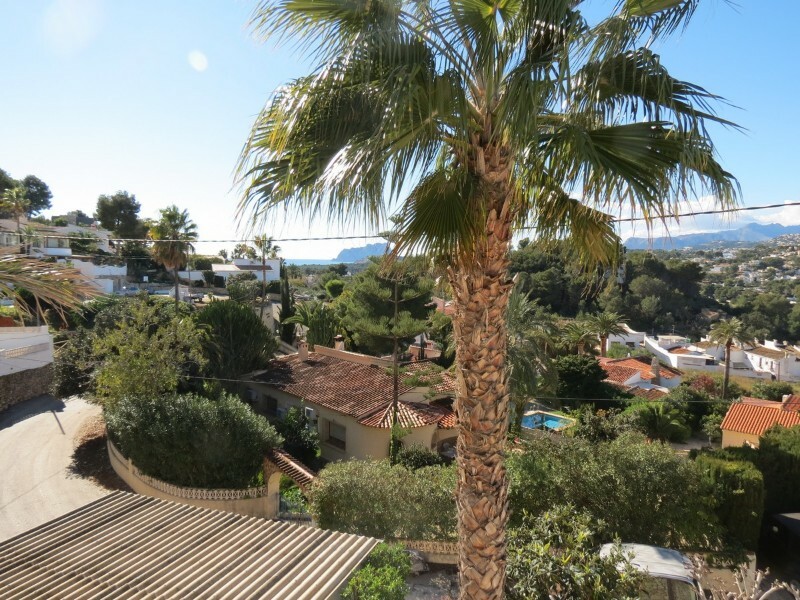 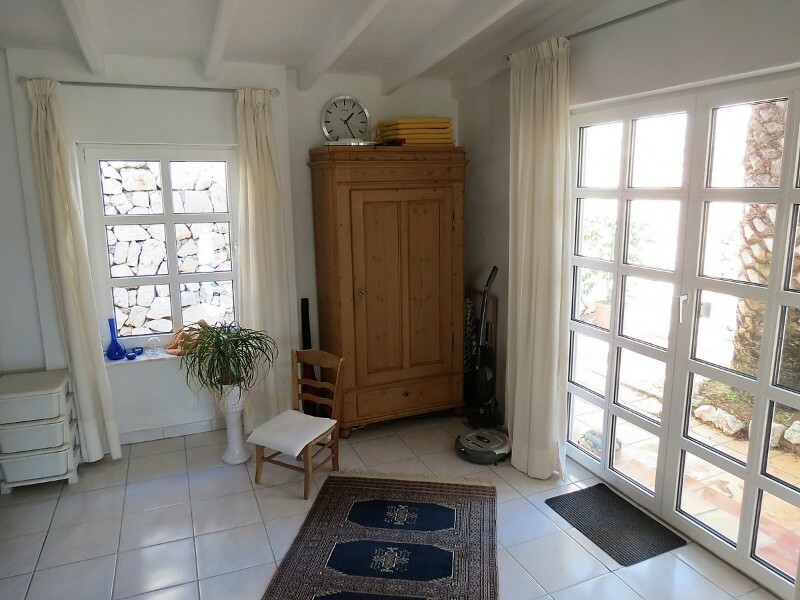 The plot offers sun all day, beautiful views to the mountains, the Penon de Ifach and some sea view and has lots of privacy. 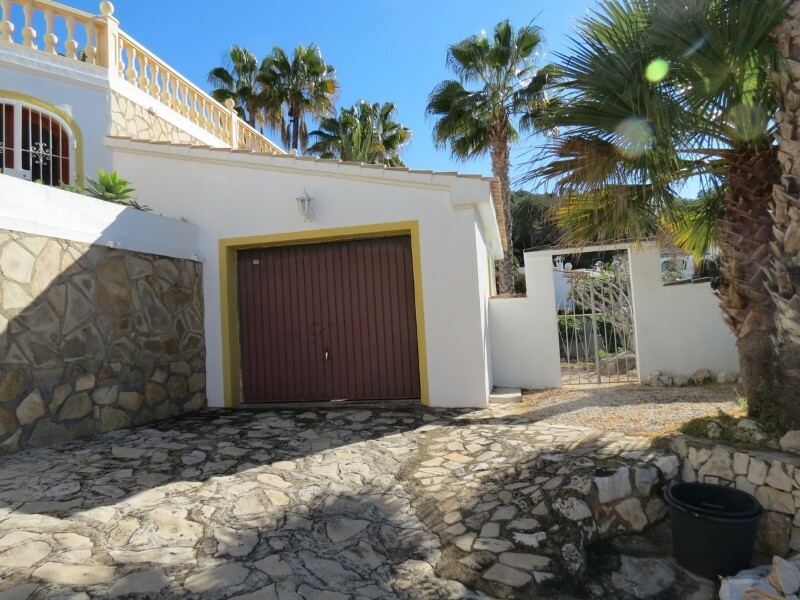 You enter the property through an electric gate to a parking area for three cars and a large garage. 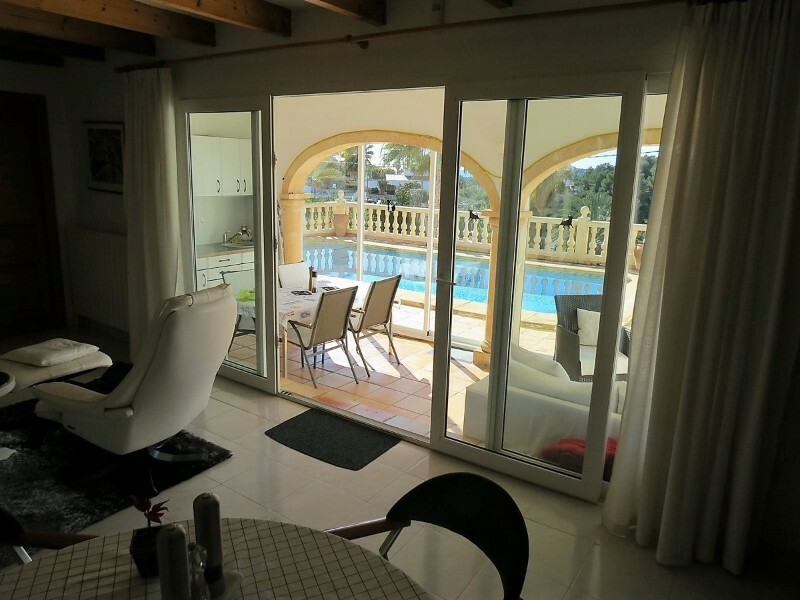 From the parking area there are about twenty steps up to the villa entrance, you enter into a spacious hallway. 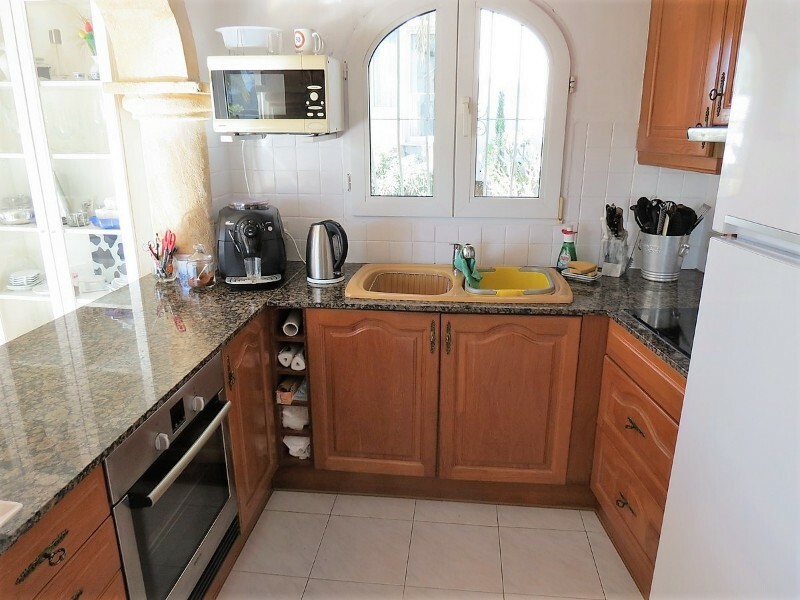 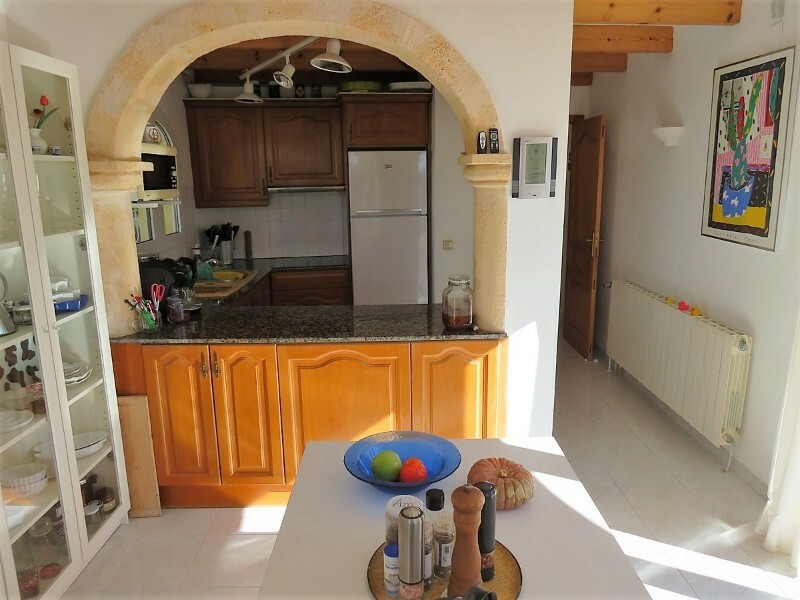 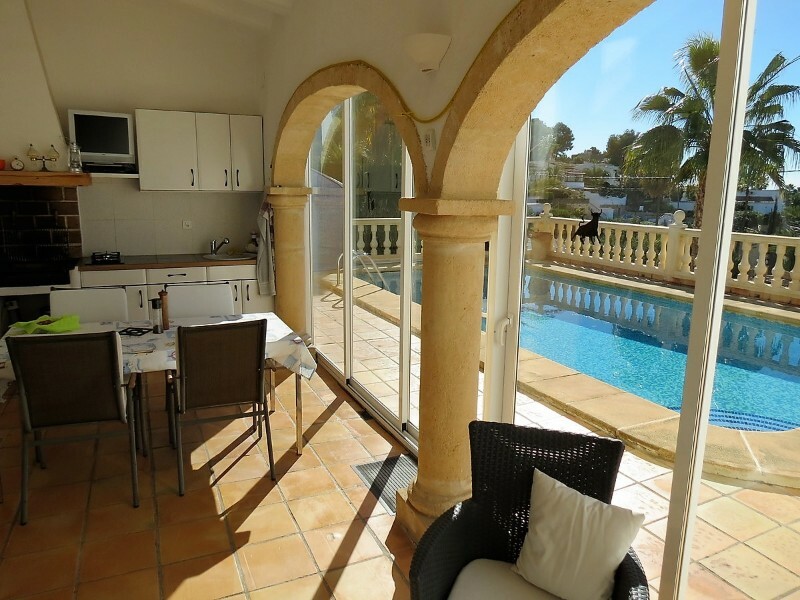 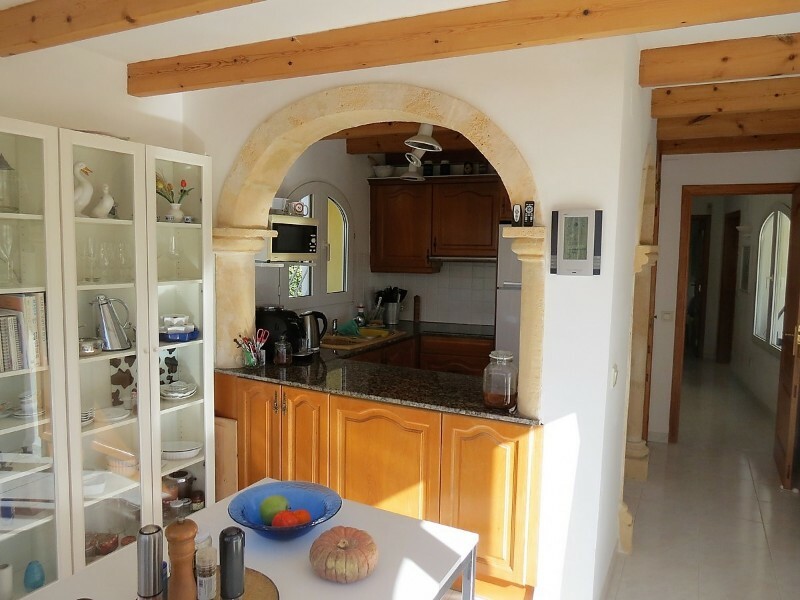 To the right you will find the kitchen and dining room which has patio doors leading to the pool terrace, the u-shaped kitchen is fitted with wooden cupboards and granite worktops with a double sink. 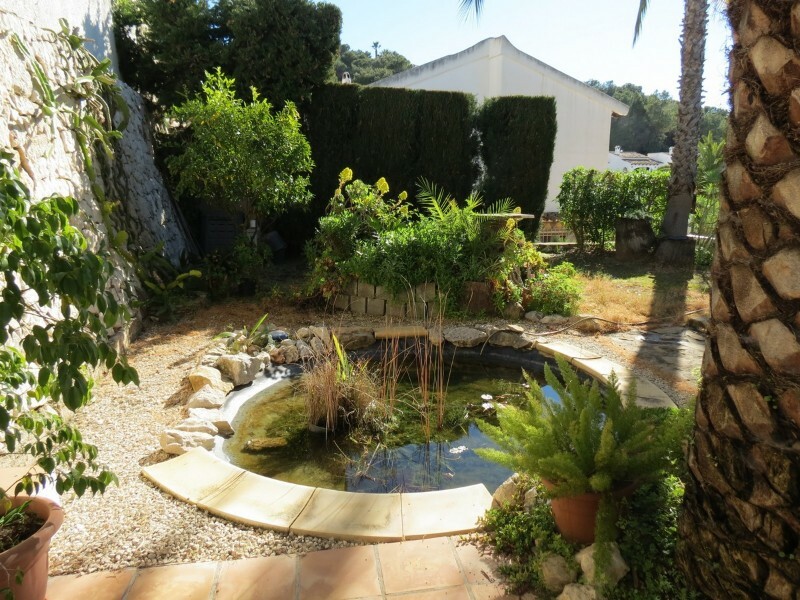 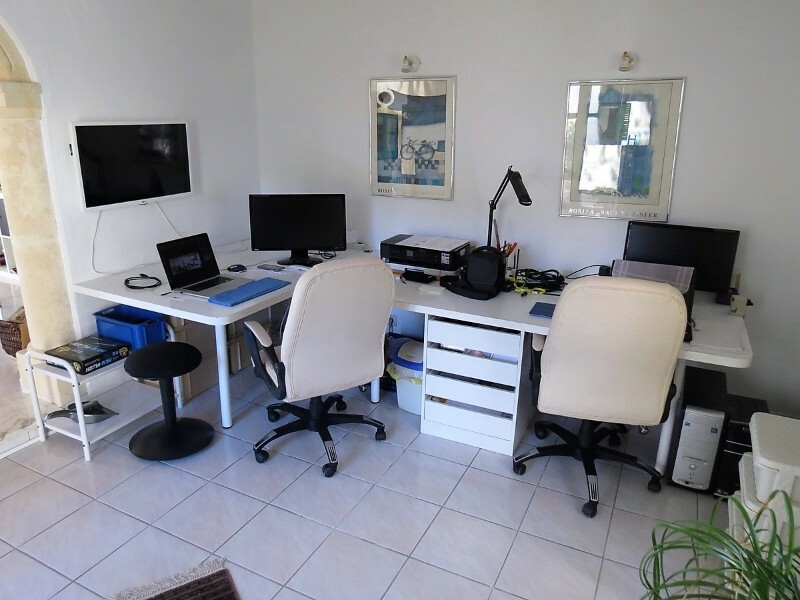 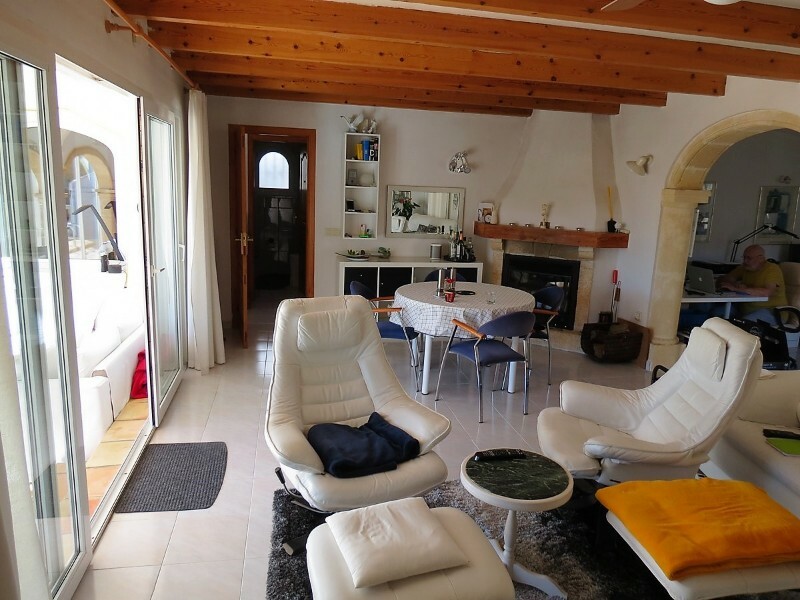 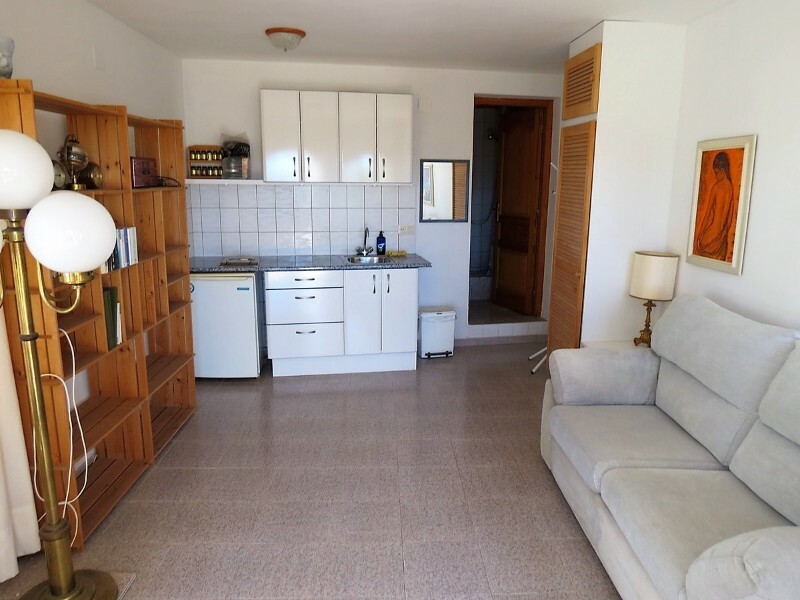 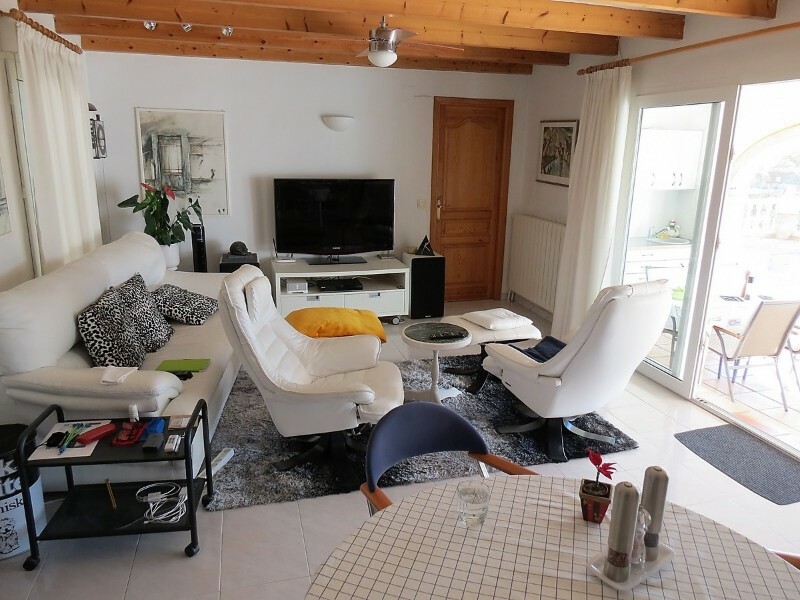 The spacious and bright living room has a feature corner fireplace and at the rear of the villa there is an office area and patio doors leading out to the back garden where you will find a fish pond and lovely seating area. 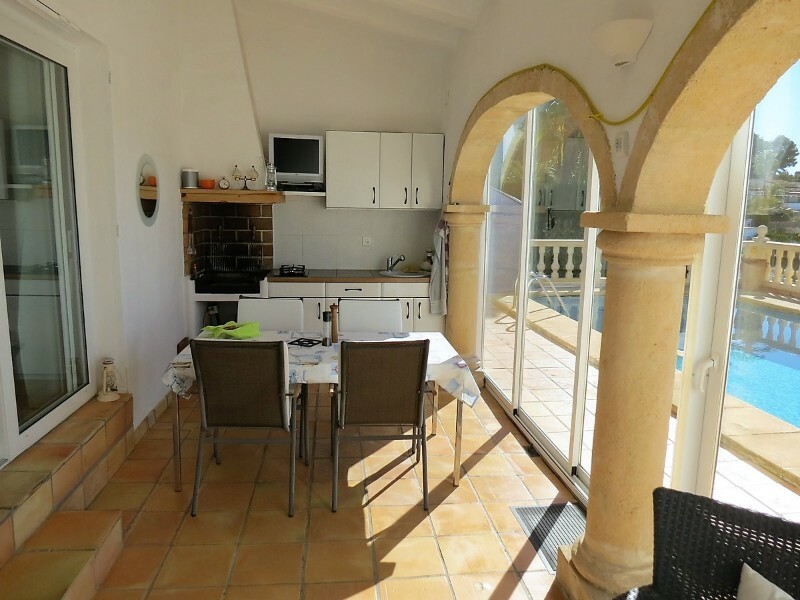 Off the living area there is a glazed naya with access to the pool terrace which has been made into a summer kitchen, perfect for alfresco dining. 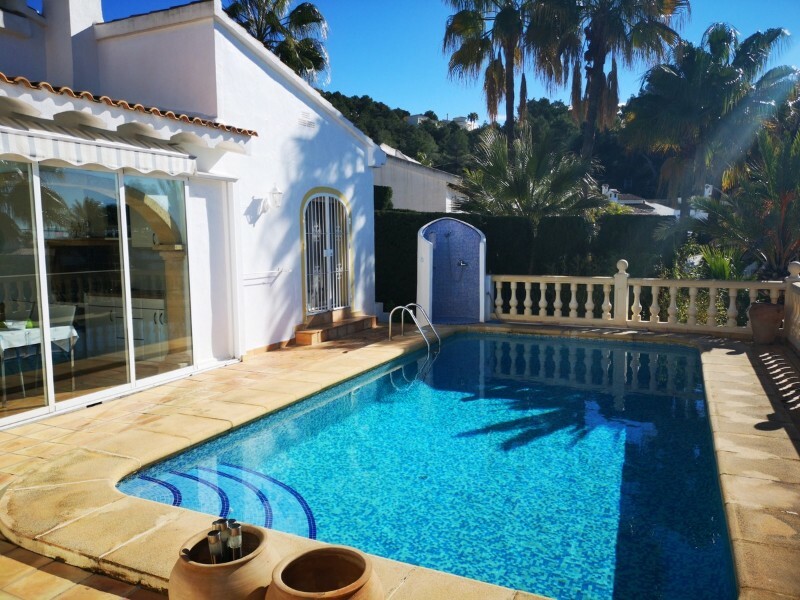 Off the living area there is a master bedroom with an en-suite bathroom including sauna and patio doors leading to the pool terrace, ideal for a refreshing early morning swim. 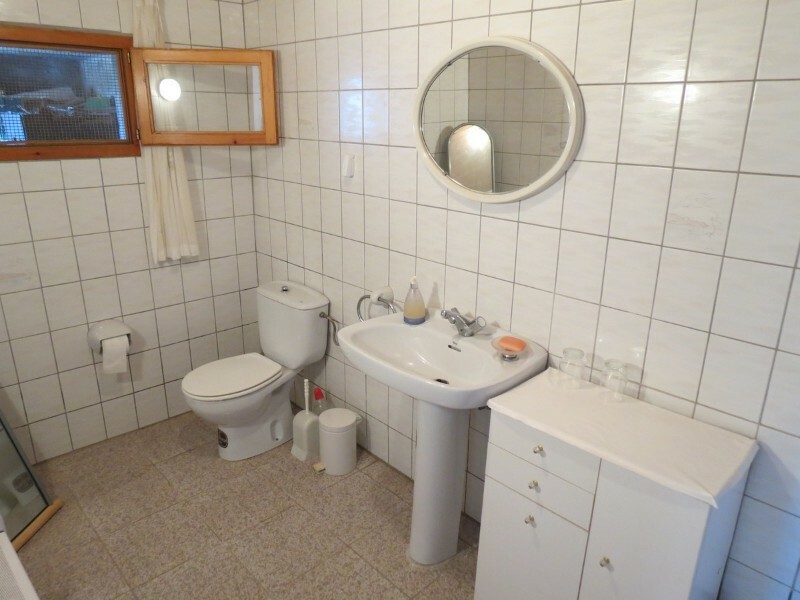 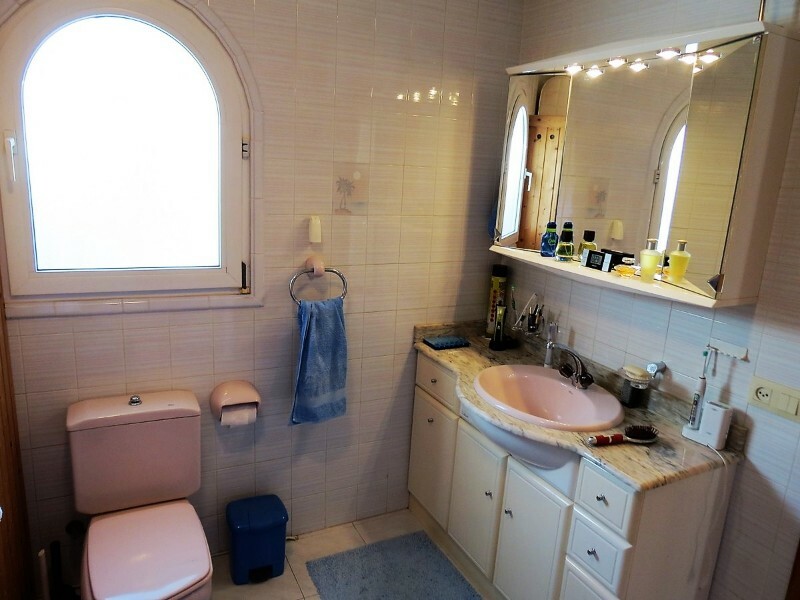 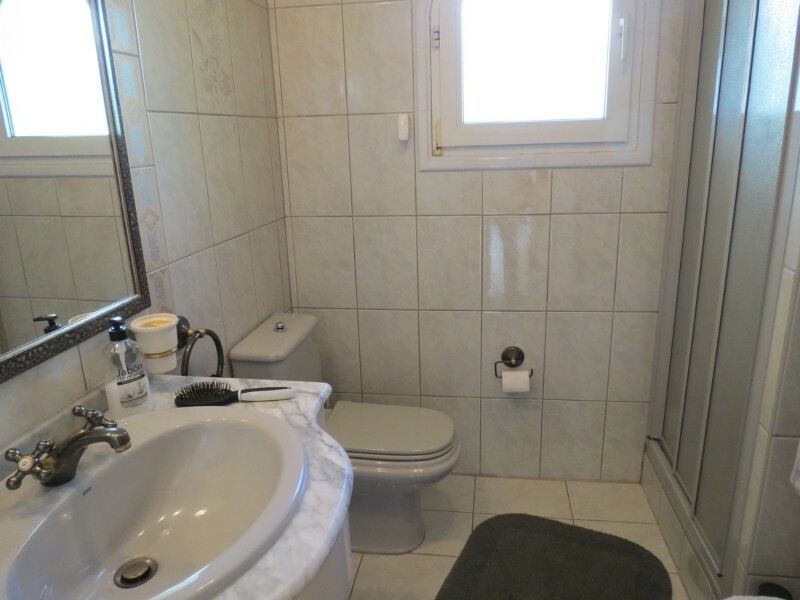 Also on this floor is a double bedroom and a house bathroom. 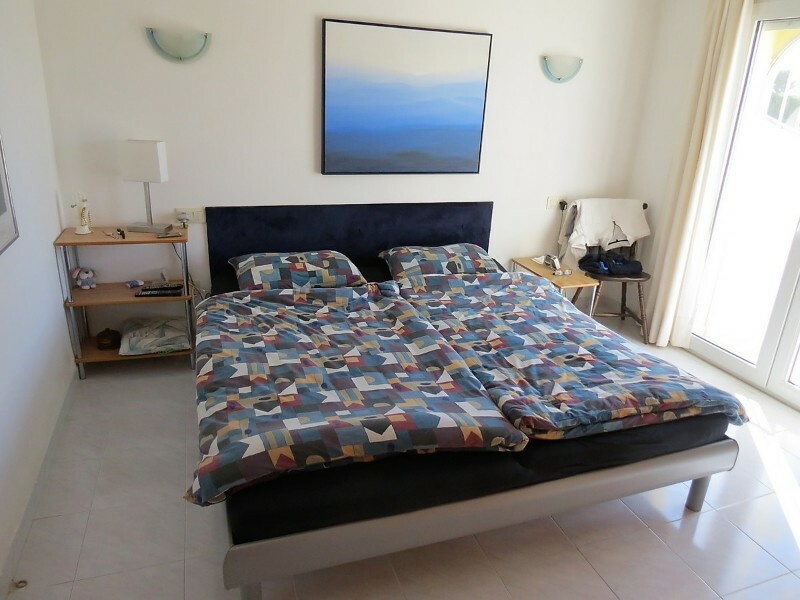 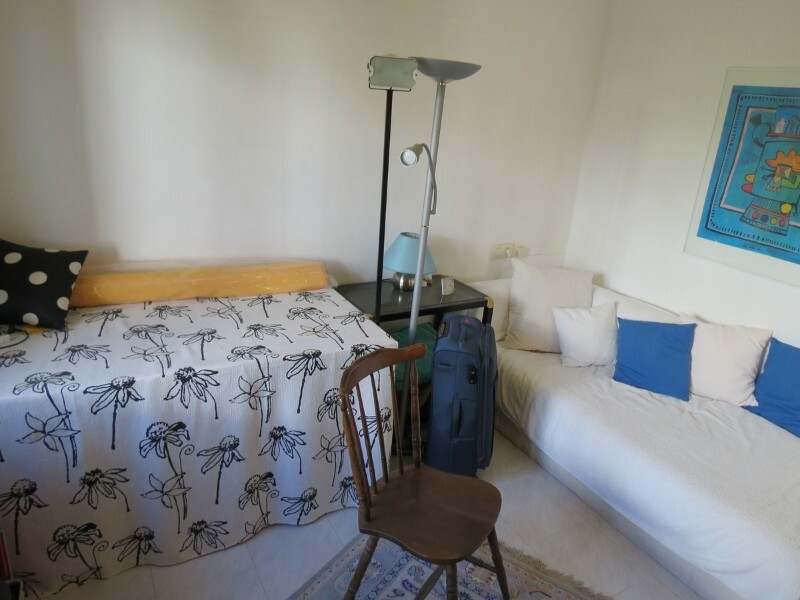 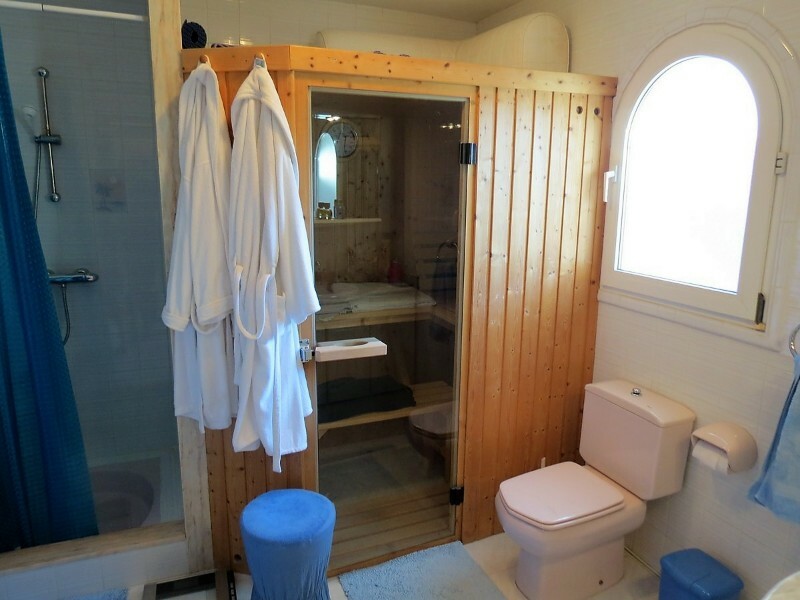 Down a few steps you will find a guest studio room with bathroom and a large storage room. 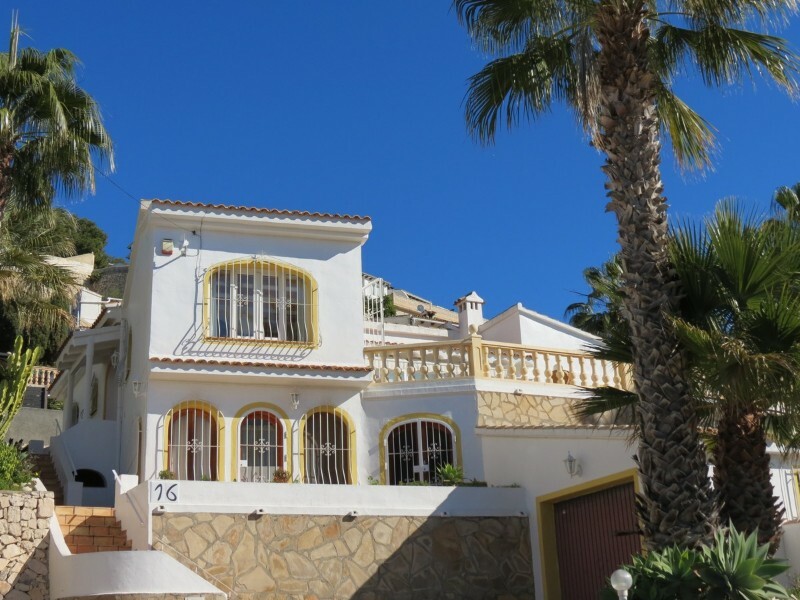 - This new reduced price makes this villa very interesting, do not delay your visit !